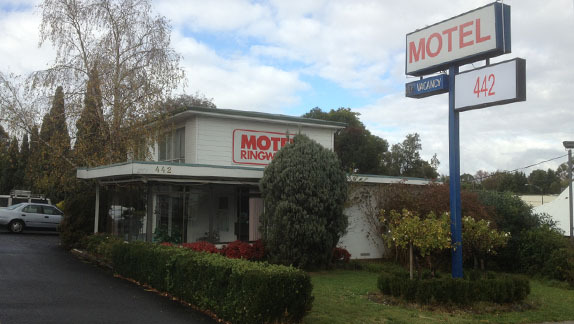 The following rates apply to the different room types available here at Ringwood Motel. Our reception staffs are glad to talk with your regards your requirements Our Tariffs are listed in the table below. 1. To secure a confirmed booking, credit card details are required as security for the accommodation charges. This secures the room for the period of your intended stay and guarantees your room upon arrival. If you wish to stay beyond the period of your original booking we request that you advise us as soon as you are aware so that we may extend both the booking and your occupancy of your original room. 2. In the event of confirmed cancellation prior to 24 hours before your arrival date we will endeavour to relet the room, which is usually possible, and in that case you will be charged a 10% booking fee that we incur to the booking agencies on the reletting. If we do not relet the room then you will be charged a fee equivalent to one night's accommodation of the booking. 3. In the event of confirmed cancellation within 24 hours before your arrival date you will be charged a fee equivalent to one night's accommodation of the booking. 4. In the event of a failure to show on the booked date you will be charged a fee equivalent to the accommodation charges for the period of booking. This policy is applied to cover the distinct possibility of our inability to relet the room at that late stage. While we always regret the necessity to impose charges upon guests who do not use the accommodation, we have found it necessary to make these charges in the certain circumstances set out above in the hope that it will encourage guests to assist us in advising of any travel changes at an early time to allow us to relet the room with minimal loss. We hope that you will understand the basis of our policy and to keep us informed of your plans to avoid any unnecessary charges.